The Sunrider Quinary contains about 50 herb foods synergistically combined. The word "Quinary" means consisting of five things or parts. Quinary consists of five unique herbal formulations designed to help nourish and strengthen the body's five major systems and improve the communication among them. 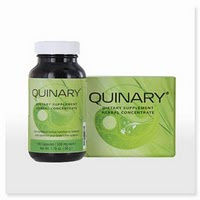 Each of the herb foods found in Quinary are concentrated and enhanced thus maintaining their nutrient integrity. Sunrider herb foods are fruits and vegetables, very high in antioxidants and phytonutrients. What are the names of the five formulas in the Quinary and what are they for? The formula to nourish the defense or immune system. Signs of imbalance - frequent colds, viruses, cold sores, infections, tumors, and cysts. 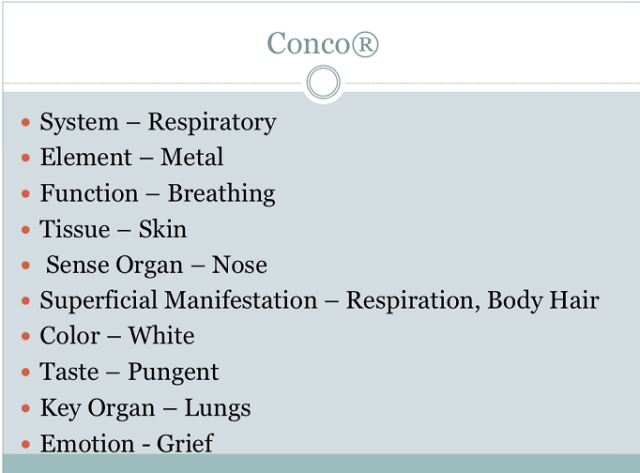 The formula to nourish the respiratory and lymphatic system. Signs of imbalance - frequent chest colds, flu, asthma, bronchitis, congestion, recurrent cough, headaches, and migraines. 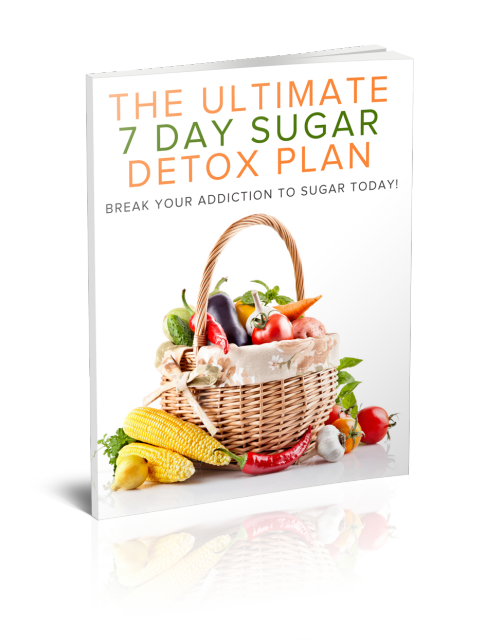 The formula to nourish the digestive system. Signs of imbalance - stomach discomfort, nausea, gas, cramping, constipation, colic, stomach distention, indigestion, tendency towards food allergies, ulcers, Crohn's, and colitis. 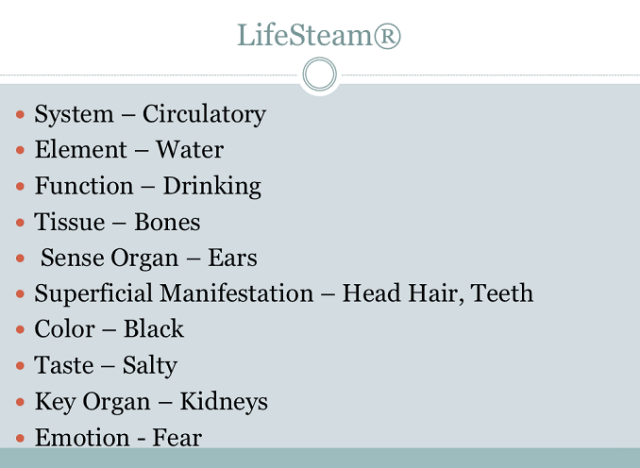 The formula to nourish the fluid processes of the body including circulation. Signs of imbalance - blood pressure (cold and numb hands and feet), varicose veins, slow healing, high cholesterol, fluid retention, weak eyesight, weak nervous system. 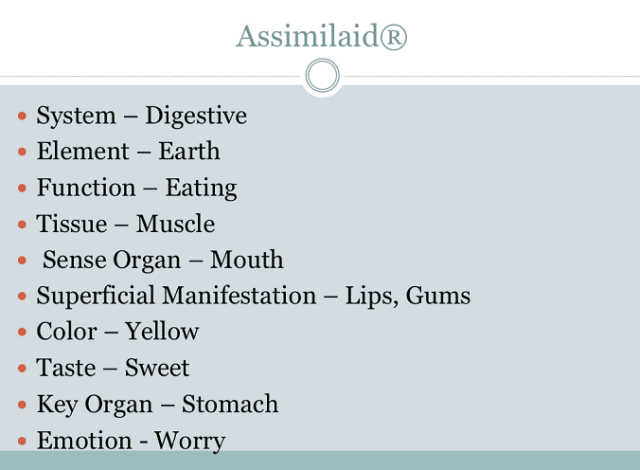 The formula to nourish the endocrine system, which includes nerves, glandular and reproductive systems. Signs of imbalance - nervous weakness, emotional instability, inability to handle stress, menstrual and premenstrual discomfort, weak sexual response, tendency toward allergic reactions, hypertension, muscle weakness, lack of drive. Quinary is a mixture of all 5 formulas in one and can be purchased in 100 capsule bottles, 5 gram powder packages which are equivalent to 10 capsules, or Liquid Five, which again, is equivalent to 10 capsules but in a liquid vial. The powder comes in 10 - 5-gram paks and 120 paks, while the liquid comes in 10 vials only. The five individual Quinary formulas can be purchased separately in bottles of 100 capsules. 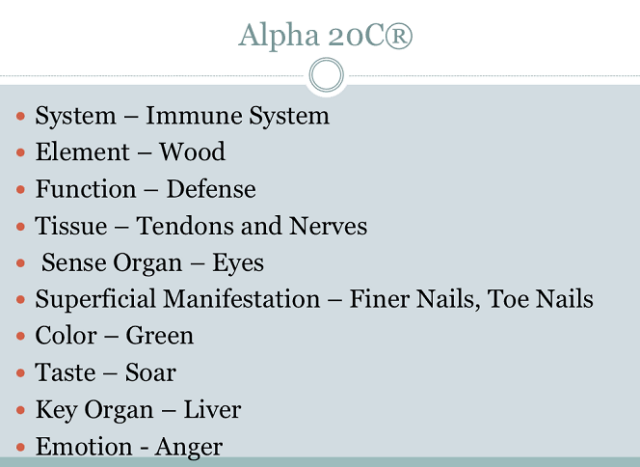 Alpha 20 C can also be purchased in bulk 250 gram containers or 10 - 5 gram packages of powder. How do I eat Quinary? Quinary is a food to support the nutritional needs of your body, to help us deal with the stresses of life more effectively. Should I eat Quinary if I am not sick? Yes! Our five major systems continuously need nourishment. How much should I eat? Remember Quinary is a food, so eat as much as you desire. As soon as children are eating solid food they can begin eating Quinary. Before that, hopefully they will receive it through Mom! Children can start with 1 to 2 capsules per day, mixed in with their food. Adult dosage is 10 capsules per day; begin with a minimum of 1 to 3 capsules per day and increase as desired. Sharon Farnsworth, in her Volume 1 of Sharon's Collection, notes that "to use Quinary at every meal is ideal…take the same number with each meal. 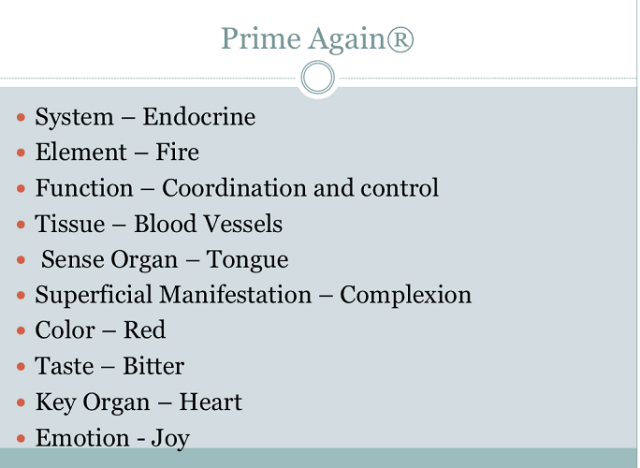 The energy flow referred to, as 'the cycle of the Quinary' is constant, 24 hours a day. So nourishing this process needs to be done consistently throughout the day…. Consistent energy is maintained when the body is regularly fed whole food products like Quinary, which give the needed nutrients to all tissues of the body. Sunrider Quinary is a unique formula of Chinese herbs, available in 42 countries, worldwide. Founded by Dr. Tei Fu Chen, 30 years ago, in North America. You can easily order Quinary with Diana. NBC - Nourish, Balance, Cleanse - with Sunrider superior herbal foods. Easy, quick, juiced plants for breakfast or any time. Diana Walker shows how she makes a quick morning drink, which includes NuPlus, Quinary, Calli Tea, and Sunectar (Stevia) - easy, delicious, very healthy, with about 70 plants, all ready juiced and dried for us by Dr. Tei Fu Chen! Quinary is another Sunrider nutritional product that many of us have daily as part of our natural health routine.